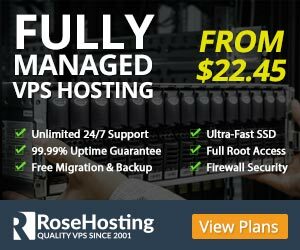 RoseHosting.com begins offering their new VPS Hosting Affiliate Program.With new enticing features and great commissions it is already stirring up the affiliate market. 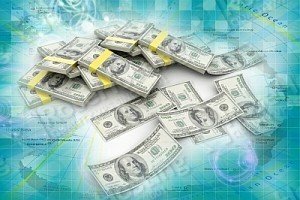 There are many affiliate programs, which promise their partners “plenty” of residual income if they sign up. However, not many web hosting companies offer affiliate programs with the affiliates in mind — they often offer low rates and complicated procedures in order to join, as if they purposely do not want the affiliates to get into the program. Unlike other affiliate programs, the RoseHosting.com VPS hosting affiliate program simply expects its partners to place the company’s banners or text links on their sites. The company’s team of software and web experts will provide the affiliates with all the tools necessary for the conversion of existing traffic into actual sales that will in turn generate extra passive income. 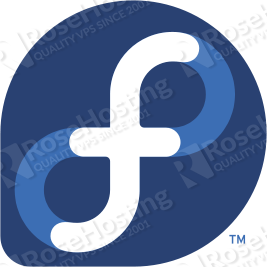 In addition, RoseHosting.com takes complete care of the referrals’ billing and support so the affiliates have no further responsibility towards their referrals. One of the most prominent benefits of the RoseHosting.com VPS affiliate program is the generous commissions. 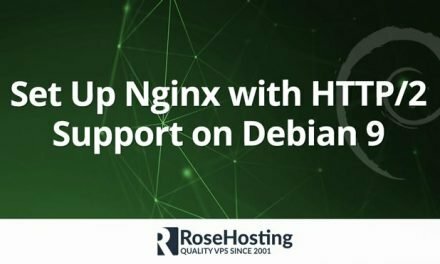 Affiliates can earn a flat 50% commission on the first month’s payment from any VPS hosting plan purchase placed on the RoseHosting.com website. There is also an incentive program that further boosts the affiliate’s income: after the first twenty accounts, the company will increase the affiliate’s base commission to 100% (from the previous 50%). After the affiliate has made forty referrals, all new accounts brought in by the affiliate can earn him a commission 150% of the purchase price. Aside from a generous commission and further incentives, affiliates can earn a $50 bonus if he or she has referred at least ten sales to RoseHosting.com in a specific month. If the affiliate has brought in at least 50 sales to the company in a month, he or she will earn an additional $500 bonus for that month. As an example, if an affiliate has referred a client to the Silver VS Plan (worth $19.95 per month of service), the affiliate will earn a 50% commission of $19.95 for that account for the initial month, and then an additional 20% of all future payments of that client. If the affiliate has referred ten clients to this plan in the span of a month, the affiliate will get $99.75 for the first month and then an additional 20% of all future payments of those clients. There is also a bonus worth $50 for referring at least ten clients in one month. The RoseHosting.com VPS affiliate program allows its partners to earn more than they would with other companies with simple steps that even a blogging or web novice can easily follow. This is a significant improvement in the industry that RoseHosting.com does not only promise on, but will fulfill for its affiliates.